Let me begin by thanking you and Lady Cosgrove for the warm welcome you have given us. It means a lot to my wife and me to be back in Australia. For us, personally, Australia holds many fond memories, not least of our extensive visit ten years ago. Willem Janszoon, who set sail on the Duyfken in 1606. And Dirk Hartog who sailed on the Eendracht in 1616. Their explorations are traced on the great world map in the marble floor of Amsterdam's Royal Palace, which was built in the 17th century. The map shows only half of your great country, labelled 'Nova Hollandia'. Every time I walk across that marble floor, I'm struck by the presumptuousness of giving the continent that name. As if it hadn't been inhabited for thousands of years by a civilisation that deserves respect as the planet's oldest living culture. The fact is, Australia has always captured the Dutch imagination. For us it remains a land that 'abounds in nature's gifts of beauty rich and rare'. A beacon of freedom and independence. A permanent source of human enterprise and energy. In the Netherlands, just hearing the word 'Australia' brings a smile to our face. Your Excellency, you have devoted your whole life to the freedom and prosperity of your country. As a soldier and Chief of the Defence Force, as the leader of the reconstruction programme in northern Queensland after the devastating cyclone of 2006, and for several years now as Governor-General. But you are also a symbol of the helping hand that Australia extends to the world. Not least in your role as Commander of the successful international peacekeeping mission in Timor Leste. Today, at a time when the international legal order is under pressure, it is all the more important that we stand together to defend its principles. Australia and the Netherlands are natural allies as promoters of peace, justice and development, and we often work side by side. Take our partnership a few years ago in Uruzgan in Afghanistan. And our current efforts in the fight against terrorism in Syria and Iraq. You have also given personal expression to the bond between our countries. You were in Eindhoven on that dark day in July 2014, when the first flights arrived carrying the remains of the victims of the downing of MH17. For my wife and me, commemorating the Australian victims this morning at the memorial was a very moving experience. We greatly appreciate Australia's outstanding cooperation in the investigation of the full facts, so that those responsible can be called to account, and justice can be done. 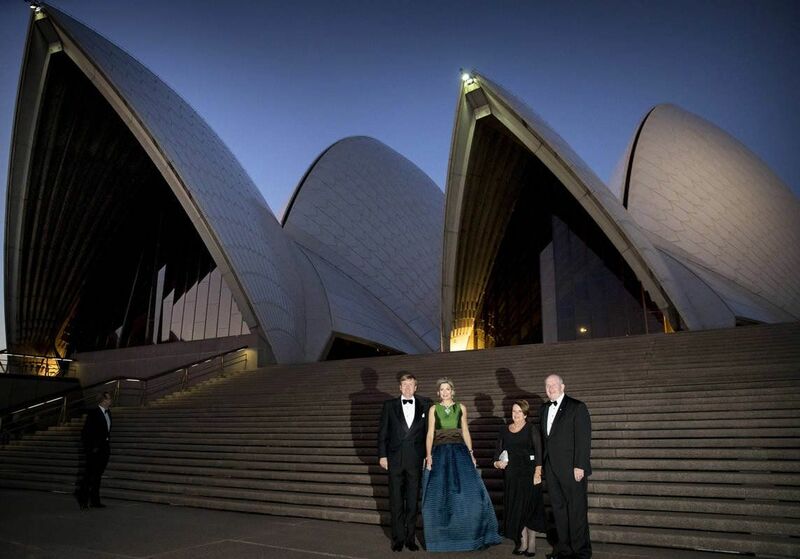 Australia has flourished over the decades, and it makes the Dutch proud to know that we played a part in its success. In the years after the Second World War, many Dutch families headed to these shores in search of better lives. For many thousands of Dutch people, Victoria Quay in Fremantle and Station Pier in Melbourne were gateways to a new homeland. And they proved that Dutch roots could thrive in Australian soil. During this state visit, we will be celebrating the close bonds our countries have forged over the centuries. But perhaps even more important are the opportunities we see ahead of us. The Kingdom of the Netherlands attaches great value to our close partnership with Australia because we believe that, as like-minded nations, we stand stronger together. Together we can find better answers to the challenges of our time. Just as, for us, Australia is a window onto the Asia-Pacific region, we want to be your window onto Europe. As I said, Eendracht - Concord - was the name of the ship in which Dirk Hartog sailed to Australia in 1616. And today, 400 years later, 'concord' is a fitting flag for us to sail under as we go forward into the future. Thank you for the warmth and friendship you always show us in Australia.